Disclaimer: This point of this post is to bring attention to the development team of the gear requirements needed by most players, and the unequal distribution of useless gear vs highly coveted gear, and a player's ability or inability to easily acquire the gear we need. Also, solutions to this problem will be discussed so we can enjoy end-game content, not pointless lvl 60 gear grinds. There have been a lot of posts recently about the inability to acquire the lower level gear that most characters require, but we aren't given enough of as a playerbase. There is a terrible discrepancy between certain gear items (as in, we have 1000s of useless gear items that no one needs, combated with 100s of gear pieces needed that no one has). To me, it seems as if the game has not been adjusted since the initial lvl 60 cap gear-wise, and it's about time the gear problem is fixed so we can worry about all the cuffs, stun guns, carbonatis, and a whole host of new raid gear, instead of, for example, being forced to decide between simming T3 or T5 of the AGI challenge. These items are all needed by all players for nearly all characters in the game. All characters use one of these, if not more than one, and if not multiple of one. Usually, they require multiple of each. This should not be happening at our current player level. There are so many other gear pieces we need to worry about, that even the thought of needing more of these should be non-existent. My best guess as to why these pieces are so rare, is because the Devs don't know that we need them so much at high player levels. So that's what this post is for (Hi Devs, friendly reminder that we need more of these gear pieces ). I currently own 800 MkV Keypad salvage, but only 6 MkIII Holo Projector salvage, and they're both items for lvl 60 characters. I literally have enough MkV Keypad salvage to give one to every single character in the game who needs one, if I had them at the correct level. Why is that a thing? We would need 1700 salvage of Holo Projectors to give them to every toon, so why don't we have that as well? We should at LEAST have the same amount for these 2 purple items. MkIII Droid Caller: I can't even quantify how many times this piece is used, but it's 55 on it's own, then at least 54 times for the Design Tech raid gear, 63 times for the MkV eyeball thing, and a hell of a lot more. MkV Binoculars: 38 times...then maybe 50 extra for crafting other pieces. First off, the MkIII Callers are my most hated and despised gear piece in this game. EVERYONE NEEDS IT. Literally everyone (maybe not literally everyone, but just let it be for dramatic flair). And then there's that other piece. 'What piece is that?' you might say. Well, that's the other blue piece in the AGI challenge that stayed there, because, you know, we just need it so much. That's why we all literally have 1000s of it... . In case it wasn't obvious by now, there is a serious supply and demand problem with the lvl 60 gear in this game. I can understand being gated on items to slow our progression, but seriously? Blocking us with lvl 60 gear? There is no feasible explanation as to why players of a game should be gated on the same gear pieces for the course of 10 months of a game, not to mention the several new gear pieces that were added on top of that every couple months. Ok, so now that we know there's an obvious problem, here are some simple and easy solutions to throw the players a bone. This one just makes me laugh. Every. Single. Other. Purple piece that costs 20 salvage to create is available in the guild shop for purchase with 1219 guild currency. But the 2 most needed 20-piece purples? Nope. This would be such an easy fix. Please put these items in here as well, and so many people's problems would be solved. This alone would be enough for me, and many other players, to stop complaining about needing 1000s of these. Please. Please. Please. This is equally as easy to do, and there's no logical nor sane reason we should be forced to choose between simming AGI T3 or T5, because we obviously will choose T5 for the syringes, but an equal amount of each are needed. If anything, remove the other 2 useless pieces, and just reward syringes and MkIII callers in T5, because everyone would rejoice and sing kum-ba-yah. We've recently seen ship materials added to the prize box in the AAT raid. That means adding something else wouldn't be too difficult. A spectacular addition would be a prize box of maybe 20 random 20-piece purple, blue, and green gear salvage to the raid rewards. This would be RNG of course, but would at least reward players who are obviously high level with gear they also need. In conclusion, something needs to be done about these lower level gear items, especially with the new gear requirements and the ever-looming lvl 90 cap increase. I don't think I speak for myself when I say that this game is becoming very stressful as of late (especially as ftp) to continue competing at a high level and focus on gearing up the plethora of new characters that have been released lately. It is overwhelming to feel like there's so much gear we need to acquire, but even a small act of kindness, like the ones I mentioned above, would go a long way to calm many players down and let us focus on the enjoyments of the game, and not just the endless gear grind. 'Tis the season ! Also, please share any other suggestions on how to help out the gear grind. I'm sure there are other low level items that bug people as well. And no, there isn't any financial benefit to doing anything I've said from the Dev's perspective, but it could go a long way in keeping people from quitting when feeling overwhelmed. Consider it a long term investment. More players playing means more are likely to spend in the future on new content. I can not be more agree with you!! Very easy fixes to a big part of the problem. As with the gear exchange, these are all valid points and great ideas that would make the game much better. As with the gear exchange that is probably why it will never happen. As a FTP you are a drain on resources as far as EA/Capital are concerned. Star Wars is sufficiently iconic that they can make the game pretty much as hard as they want for FTP and they are never going to drive away enough to make the whales feel lonely. And for the whales these problems are relatively cheap to solve compared to some of the other things they buy, so there isn't enough push back from them to actually get things changed. Even if the devs want to balance the game better there will always be a bean counter standing over their shoulder telling them to leave stuff like this in. And the sad part? The bean counter is almost certainly right. Many 11-12 month dedicated players ftp and p2p have been quitting the game recently for just this reason. New content is great, however it's worthless when we still have to farm the same gear we were farming 11 months ago. We can't even farm the new gear. Meanwhile whales have new OP toons, max g11 toons....beyond OP mods that are now unobtainable due to mod nerf....and the upcoming game breaking zetas. Advice for the devs, all your hard work is going to be worthless within the next 30-60 days unless 100% of your time is currently being spent fixing the above issues.....all f2p will quit since they can't compete, whales will soon follow as player base will grow stale. Too much dev time is spent trying to rng drain every cent from the player base instead of making the game fun. Not a fan of the constant 2/20 drop rates...........interest is rapidly declining. Maybe they could add a barter table that would take, say, a thousand green ability mats in exchange for one item you really wanted. Ben I would be surprised if your extremely accurate and thoughtful post wasn't specifically designed by the Dev team to be working as intended. Unfortunately I have a strong feeling that one of the highest buy rate items from all the player base (F2P to P2P) is the Mk3 holo projector in Cantina shipments. 300 crystals is an easy impulse buy when so many people need it and I am guessing that is why it doesn't exist elsewhere. Also I can't say that I have any real data analysis to back it up but it feels like all the gear needed by characters that is the same is somehow due to that idea at one point that characters without Special Damage shouldn't get Special Damage gear assigned to them, which by the way appears to no longer be the case again. Sure would be nice if that was addressed a different way, and maybe look at why my characters with no potency abilities need potency based gear. A gear exchange would of course be nice as well, so we can exchange all those MkIV Droid callers to either MkIII or MkV where they're actually useful. Unfortunately that would take more work and no financial benefit, so it doesn't seem likely. That's why I said 'no logical nor sane reason' to do it haha, but I did message a dev about the challenge gear a few months ago and they eluded to it being WAI. 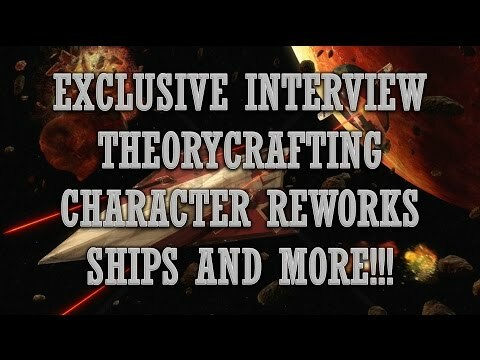 However, that was before the AAT, the 85 cap, and ships, so I think this is the right time to bring it up again. I saw this coming a mile away and started complaing about cuffs a few months ago. I keep telling myself, if they don't fix this with the next update, I'm quitting, but there's been just enough recently to keep me hanging on. There is a precedent here. Shortly after starting this game last December there was a public rage about purple hairdryers. Big voices from guys on TI etc led to a change and they put the hairdryers in a challenge tier. I fully expected other gear to soon follow suit and some of the useless gear to be cleaned up. Mk3 carbanti report they can drop 5 in one of the challenge tiers but that's a lie. Anyway, none of that has ever materialized. Hairdryers are all we've ever gotten. A few months ago, one of the active developers on Reddit responded to a similar request about gear. Someone said they needed like 300 cuffs and the dev was flabbergasted that there was that big of a need. Frankly, he didn't seem to believe it. 300 cuffs, I wish. More like 3,000 cuffs needed today. If I remember correctly, this guy was even in charge of what gear goes into rewards. Seriously, I want to cut my wrists. Continuing on, he then went into some spiel about how he didn't even understand how the gear was coded, the nomenclature didn't make sense and he really didn't have any clue about how it was designed. I've tried to find that thread a few times since. but I can't, I'm thinking it was deleted.. If anyone can track it down on the sub Reddit you'd be my hero. So, here's what bothers me. We buy into this game and it's grind believing that there's some master plan, a well designed grand scheme where all the pieces have been placed perfectly and we are working towards this ever climbing but attainable goal. Then you read stuff like this and realize it's all ****. There's no rhyme or reason for gear assignments in this game, either toon or reward. Rey needs how many "+10 potency" Mk7 scanners??? A toon that has not one single debuffing ability requires several of the most coveted potency gears in the game!! Add to this Rancor raids that consistently drop the same garbage gear instead of what's actually needed and this game, with all the time it now requires, is becoming a drag in general. Something needs to be done, I love this game & spend money on it, and I'm thinking of quitting. I enjoy playing this game a lot. The only thing that annoys me is exactly what you put in this thread. Sadly I think @Mvnson is spot on. And the gear allocation on toons is totally random and doesn't make any sense. The new gold items farmable drop at an abyssimal rate. And then why would I want to bother to give old Ben +120 special damage item or Rey 2x10 intelligence? I had the whole spreadsheet of gear demand, that is composing all direct and indirect demand (that was before the last round of characters). Your analysis is spot on, the demand number for Droid Caller Mk3, Keypad Mk4 and PowerCell Mk5 are in the 5000's (for a whole roster fully geared). Not to look too depressing, but this is somehow still dwarfed by the infamous Stun Cuffs Mk3, Carbantis Mk3 and Haridryers Mk6 (in the 8000-9000). Even with the challenges, we're talking about 3+ years worth of grind. On the adding insult to injury side, the Tanks challenge keeps giving me stuff I already have enough to equip the whole demand 2 or 3 times over, like that MedPac Mk1 (total demand is 600, I have 3 times as much), or that new Binoculars Mk8 that was simply pointless for so long, and not much less so right now. One is suposed to follow the $ path. +1 Well said!! As a player who started playing at the worldwide launch (Nov. 2015), I couldn't agree more. +1 We have got to a point getting 330 shards is way faster then gearing up new toons. This was the other way around.